The long and eagerly-awaited Ashridge play area moved another step closer in September when Three Rivers Council provided £95,000 worth of funding to proceed with the project. The southern end of the South Oxhey estate has suffered from an under-provision of children’s play equipment and if the scheme gets the final go-ahead that will soon be put right. The site off Prestwick Road which is presently under-used wooded ground will be landscaped, see trees thinned, play equipment installed and new all-weather paths put down to replace the present muddy tracks. “This will be a fantastic facility for local children and the only obstacle that remains is the granting of planning permission which is now being sought,” said local councillor Paul Gordon. Extensive consultation has taken place, but sadly the only Conservative councillor in South Oxhey has failed to back funding for the project. 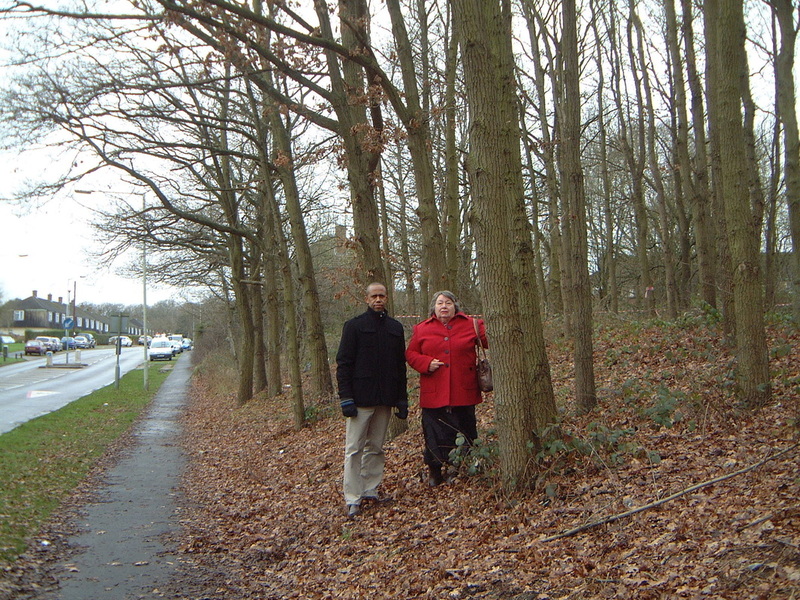 South Oxhey’s County Councillor Joan King hit out at the Tory’s stance. “I am frankly appalled that Councillor Harris has refused to support this project which is both needed and very worthwhile. Our children deserve the best and I want to make sure they get it,” she said. Local Labour councillors have been fighting for a play area in the vicinity for many years in response to residents’ requests.